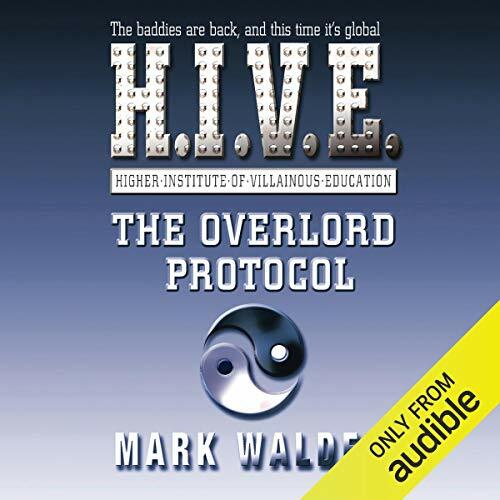 The Higher Institute of Villainous Education is in grave danger: Dr Nero, its leader, has been captured by the world's most ruthless security force. It's up to Otto to save him, but first he must escape Nero's sinister replacement and H.I.V.E. itself. Then Otto faces the ultimate challenge - to break into MI6. Something no villain has ever succeeded in doing...The second thrilling story in the H.I.V.E. 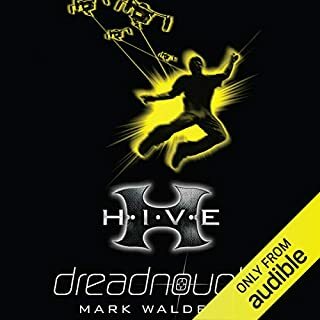 series from bestselling author Mark Walden. ©2007 Mark Walden (P)2014 Audible, Inc.
We have, in our 'big' car, those DVD players fitted into the headrests, so that the children can watch DVDs all the way down the M4. However, my - small - car has none of these, so - finding myself with a spare credit one day - I grabbed the original HIVE book, to keep my 11-year-old son amused on the shorter journeys we do. It's safe to say that we've both enjoyed the first two. 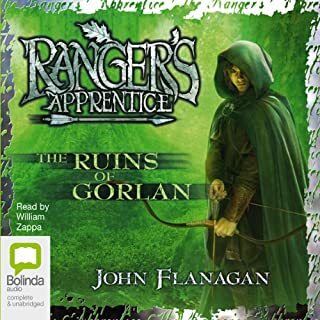 Jack Davenport's voicing is first-rate, and has us in giggles whenever Franz speaks, and supports an excellent plot. 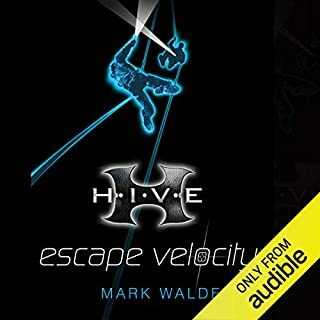 In this follow-up to the original, the plot is faster paced and more directly into the action, and while adult listeners will probably guess the outcome of various events, it's still got plenty to offer in terms of one-liners and cliff-hangers. We're now well into the third of these, and the DVD players languish unused. I loved this book the plot is complicated with a twisting story line with baddies actually being good and many traitors. All of the children get involved but difficult to read with out reading the first one you must read to the end to reveal the truth well worth it. must read. In my most humble opinion I think this is an excellent book, right by an if a may and excellent righter. (oh yes I am sorry for my abysmal spelling) but it has one falling ascents are not shall I say perfect... but anyway as you can see from my review I am most satisfied! 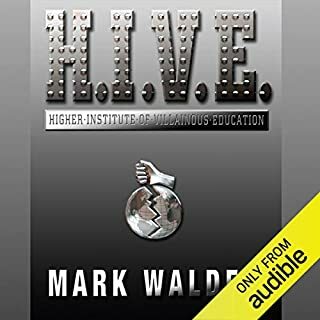 This is the second in the Hive series- and it really takes off in this book. My youngest son (an avid 10-year old reader/listener) tells me this is one of the best in the series. Like all of them, OP contains childish fantasy violence, but is suitable and engaging for children of, I would say, 8 - 11. 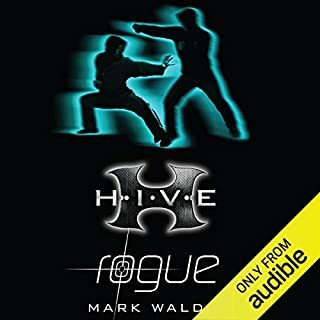 Yes, i would recommend this audiobook, interesting blend of Harry Potter and Hunger Games. Have you listened to any of Jack Davenport’s other performances? How does this one compare? The is an excellent start to the series, I have downloaded the next 2 and have added more to my wish list for latter purchase if they carry on in the same vain or develop. We listened to this driving down through France (children 10 and 12, 3 adults) and my 50 something year old sister didn't want to leave the car at the end as we still had half a chapter to go! Of course you have to suspend disbelief, but these are great children's books that adults can also enjoy. There was one voice/accent that I didn't like, but otherwise the reading was great. Made the journey fly by. Having bought the first book of the series for a long family journey, all of my kids then begged me to buy the next one and then the next one until I had bought all of the series. The whole have all listened to all of the books (at our own pace) and we are all waiting for the last book to be published. 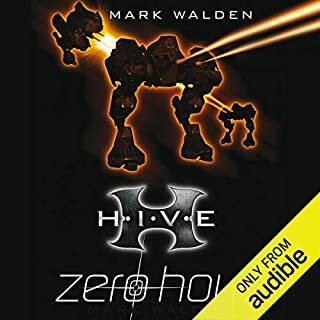 One great thing about buying it on audiobook is that all five of us could listen to the series at our own pace and I expect when the final one comes out I would otherwise have to buy five copies of the book!